Injured at a Property Outside of Nevada, but Headquartered in Nevada? Injured at a Property Headquartered in Nevada? Knowledge of Hotel Law is an important fact when hiring an injury law firm. With more hotel rooms per square mile then any place in the world, Las Vegas reigns as the world’s top Hotel town; consequently, more hotel accidents occur in Vegas given the millions of visitors that stay here. Our firm has helped thousands of victims with their personal injury claims in Las Vegas, Reno and throughout Nevada. We truly cater to tourists. Our knowledge of the risk management departments and the litigation system in Nevada helps us deal with hotel accident claims and our key insight into the particular companies, we believe, is a real asset from a litigation standpoint. From Slip, Trip and Fall accidents to elevator and escalator mishaps, our firm runs the full circle of hotel and casino accident claims. Negligence takes many forms in the hotel business with managers and employees are often not trained properly. Every department, from front desk, engineering, casino floor operators, waiters and servers, bartenders, valet, room service, housekeeping, security, to maintenance, all create hazards in the hospitality venue. Our job is to right the wrong. The law firm of Benson & Bingham can and will litigate claims occurring outside of Nevada. The law provides that a lawyer may file a lawsuit where the cause of action arose (the location of the accident) or in the headquarters of the business or corporation. This is often called, “venue.” Venue is an important part of the litigation process in that one must figure out where they want to litigate the claim. Certain facts and investigative materials may be had at the location of the accident; however, that does not preclude a law firm from handling that accident case in the venue of the principle place of business, or hotel headquarters. 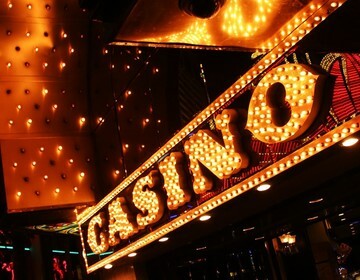 Many casinos and hotels are headquartered in Nevada because of a variety of reasons—much has to do with taxes, but most actually started out in Nevada. 28 USC 1391 indicates b) Venue in General.— A civil action may be brought in— (1) a judicial district in which any defendant resides, if all defendants are residents of the State in which the district is located; (d) a corporation shall be deemed to reside in the district within which it has the most significant contacts. We do hotel litigation well and we can represent out of state victims against hotels and casinos who make Nevada their home base. Let our law firm give you the Nevada edge. Call us today to discuss your accident case, and let us tell you our legal opinion on your matter. Call Joseph L. Benson II, Esq. for a professional opinion over the phone. Las Vegas: Aria at CityCenter, Bellagio Las Vegas, Circus Circus, Encore Las Vegas, Excalibur, Gold Coast, Golden Nugget Hotel Casino, Green Valley Ranch Resort & Spa, The Hard Rock Hotel, Hooters Casino Hotel, Luxor, Las Vegas Hotel & Casino, MGM Grand, Monte Carlo Resort & Casino, New York - New York Hotel Casino Las Vegas, Palazzo Hotel Resort Casino , Palms Place, Red Rock Casino Resort and Spa, Riviera Las Vegas Hotel Casino, South Point Hotel, Stratosphere Las Vegas Hotel Casino, Terrible's Casino Hotel, The D Las Vegas, THEhotel at Mandalay Bay, Treasure Island Las Vegas Hotel Casino, Tropicana Las Vegas, Vdara at CityCenter, Venetian Las Vegas Hotel Casino, Wynn Las Vegas. Mississippi: Grand Biloxi (Harrah’s), IP (Boyd), Sam's Town (Boyd).